Best mobile apps for academic use. Read articles in American Chemical Society publications on the iPod Touch, iPhone, and iPad. Only works for MIT users from on campus. Filter journals to see your favorite ACS publications quickly. Save favorite abstracts in a folder for offline reading. Search for articles published by ACS and read them on your iPhone. Share links and via e-mail, Facebook, and Twitter. For Android or iOS. Search for and read articles about a variety of topics, including history, economics, and environmental science. After you download the app, you'll need to do one more step to get content provided by the MIT Libraries. 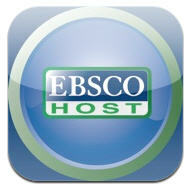 To do this, visit any EBSCO resource (try http://libraries.mit.edu/get/america) and click the link for the iPhone/Touch app at the bottom. Mobile site or iOS. Search for and request books from MIT Libraries and from libraries around the world. Access the Barton catalog to renew books. Connect to the MIT Mobile web site to find library hours and contact staff at MIT Libraries. Mobile site. Search for information that can be hard to find on Google and other traditional search engines, including a lot of scientific data. Diagrams and images in results helps users to understand the data and text. For Android or iOS. MIT's WorldCat mobile - search for and request books from MIT Libraries and from libraries around the world. Mobile site. Libraries on MIT Mobile - renew and request books, find library hours, ask questions, submit ideas. Mobile site. Pic2shop iPhone app - scan barcodes & request books. For iOS. HathiTrust - millions of books available for PDF download. MIT users - click "login" and choose MIT as your institution to gain full access. Mobile site. Many of these sites require MIT users to authenticate, so make sure that you're connected to the "MIT Secure" network from on campus (not "MIT Guest"), or use VPN to access from off campus.